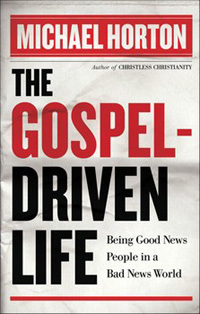 The Spring Theology Conference of the Reformation Society of Oregon was honored to host Dr. Michael Horton on Saturday May 2nd, 2009 at Estacada Christian Church where he gave 3 lectures on the contents of his book: Gospel-Driven: Good News People in a Bad News World. With his generous permission we make available for your edification this all new material. Sponsored by Monergism Books. This insightful book will guide readers in reorienting their faith and the church's purpose toward the good news of the gospel. The first six chapters explore that breaking news from heaven, while the rest of the book focuses on the kind of community that the gospel generates and the surprising ways in which God is at work in the world. Here is fresh news for Christians who are burned out on hype and are looking for hope. The following lectures are in MP3 format. To download, right click and save to your hard drive.